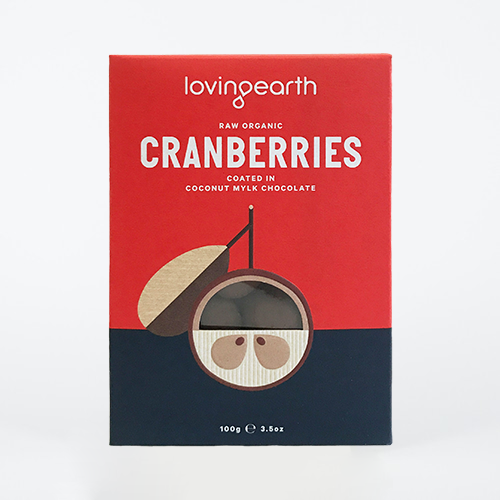 Juicy and sweet, we coat these organic cranberries in our signature coconut mylk chocolate. The subtle berry tang is perfectly balanced with the intensity of the chocolate. Ingredients RAW COCONUT MYLK CHOCOLATE* (67%), (RAW CACAO BEANS*°, EVAPORATED COCONUT NECTAR*°, COCONUT*, VIRGIN CACAO BUTTER*°), CRANBERRIES* (33%) (APPLE JUICE SWEETENED*, SUNFLOWER OIL* <1%). MAY CONTAIN TRACES OF NUTS. 55% MIN CACAO. 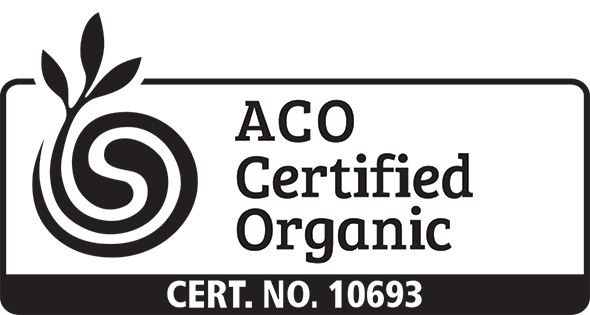 *CERTIFIED ORGANIC °CERTIFIED FAIR TRADE.